Why is the enterprise spread organised at three locations? Beck+Heun delivers from three locations West Germany, East Germany and Southern Germany to ensure optimal and fast delivery to customers. Each site has its own sales team, which together cover all of Germany. Thus every customer at every location in Germany has a contact person available in the vicinity. In addition, each branch specialises in certain products and thus concentrates on this area. This has a positive effect on the development of new and optimised products, and the specific customer service. The innovation culture in all branches, as well as a leadership style that gives the employees a high degree of individual responsibility, are the basis for a continuous development of product solutions. 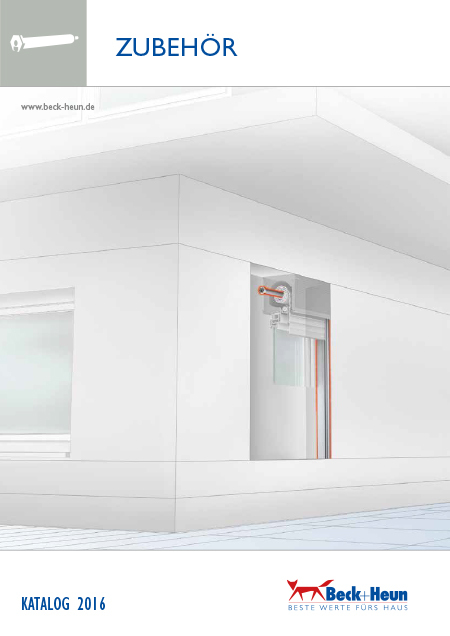 This procedure is favoured through additional factors: Beck+Heun GmbH has been trading for 50 years – in this period of time the enterprise has been able to gain extensive know-how in the production of energy-efficient systems in all aspects of the window. Moreover the sister companies benefit from reciprocal synergies that arise from the business areas in a wide variety of industries. How can end customers purchase the Beck+Heun products? In addition to a careful selection, Beck+Heun also relies on a broad differentiation of cooperating specialist dealers. 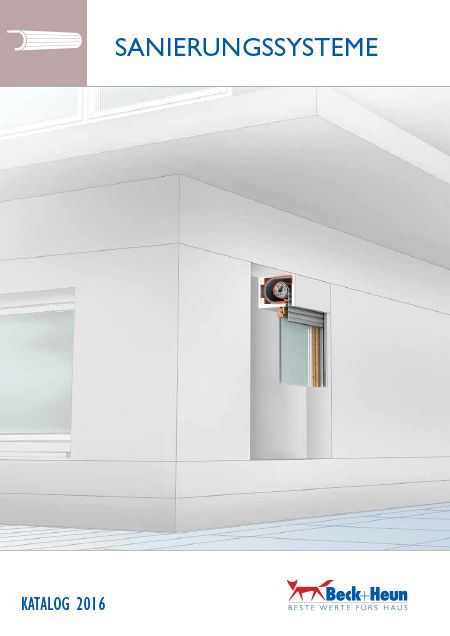 Thus the product solutions of the Mengerskirchen enterprise are available for end customers throughout Germany and with appropriate consultation in the qualified retail trade. Why does Beck+Heun not sell to private end customers? 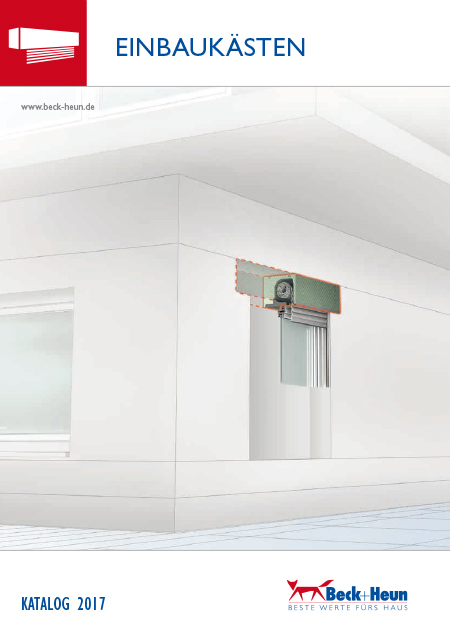 For the most part the Beck+Heun product portfolio consists of building elements that are highly technical and require in-depth expertise for installation. 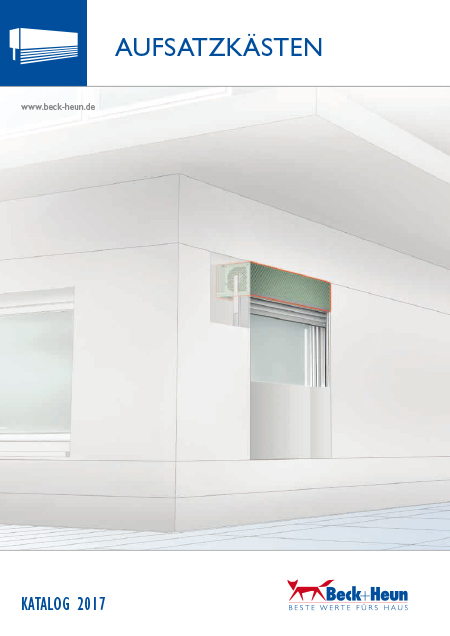 Beck+Heun specialises in state-of-the-art production of building elements. The enterprise sells its developments exclusively to a technically adept clientele, such as the building material trade, as well as roller shutter and window fitters. The company relies on this selected technical group for consultation, however the company supports this group with regular product trainings, sales materials and a field sales team that is networked throughout Germany. Why is there a fox in the Beck+Heun logo? The familiar fox logo is based on the letters of the abbreviation for roller shutter boxes (Rollladenkasten) ROKA. Furthermore in Hungarian the word for fox is ‘róka’. That which once symbolised the production area of Beck+Heun has now become a fixed signet for all branches of the Beck Group. The fox, which is considered a particularly intelligent animal, today symbolises the high innovation power of the Group. How does the foaming of Polystyrene work? Polystyrene ® is manufactured of EPS granulate (EPS = Expanded Polystyrene). In a pre-expansion process this is foamed into a ball size of three millimetres. After an intermediate storage procedure, the balls are filled into the respective automatic moulding machines. With the addition of water vapour at a temperature of 130 degrees Celsius, they combine to form a solid insulating element. Why is Beck+Heun increasingly processing Neopor? For decades Polystyrene ® has been the classic among the foam materials for efficient thermal insulation. The new generation of the pearl-shaped granulate – Neopor® – contains additional graphite particles that reflect the thermal radiation and thus reduce the transport of thermal energy within the material. For example, a panel of Neopor® achieves an insulating capacity that is up to 20 percent better than that of conventional Polystyrene ®. 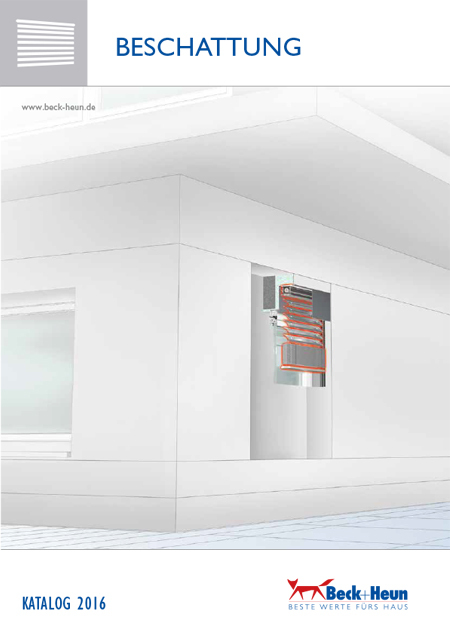 For new products, as well as for proven products, Beck+Heun will increasingly process this insulating material to pass on its advantages to customers. How many people work for the Group? Currently the Beck Group has 538 employees. ROKA Werk currently has a total of 125 employees. How is the Beck Group organised? The Beck Group consists of four autonomous sister companies. In addition to Beck+Heun GmbH, ROKA Werk GmbH is one of original branches of the Group. 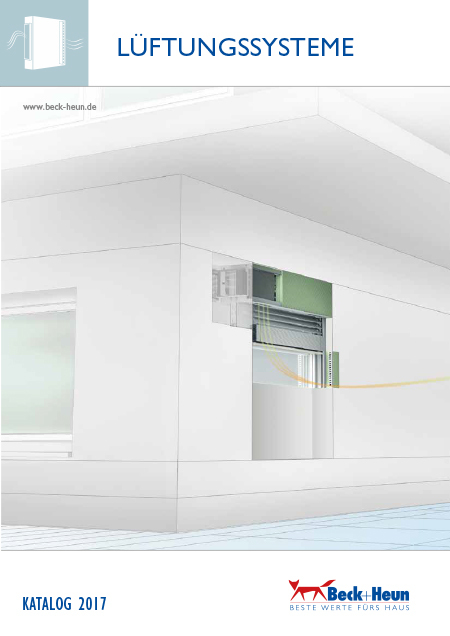 To date, three other companies have successfully established themselves: With the autonomous Beck+Heun GmbH Erfurt, Beck+Heun GmbH was able to successfully expand its presence in Germany, particularly in the eastern region. With Beck+Heun Jumping Equipment and more than sub-area of Beck+Heun GmbH the Group has pushed forward into an entirely new industry – equestrian sport. 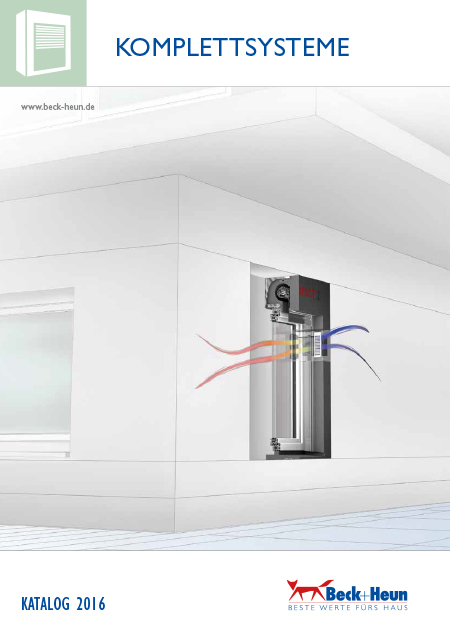 The experience and technical know-how from the other production areas have given the youngest branch of the Beck Group incredible market advantages. The fourth autonomous operation is the Hungarian Roka-H kft. in Tatabánya. This operation supports ROKA Werk GmbH as supplier of vehicle blanks. Where do the ideas come from / how do innovations come about at Beck+Heun? In all branches of the Beck Group, innovation is viewed as a fixed component of corporate culture. Thus, on one hand the management board acts in accordance with the bottom-up principle – every idea and every improvement recommendation from the employees is reviewed for feasibility. On the other hand, a constant dialogue with customers is cultivated in order to continuously optimise and supplement the product line in the customers’ interest. In the Development Department that Beck+Heun maintains, the ideas are implemented with building physicists and engineers in collaboration with higher education institutions. A willing ear and the non-bureaucratic implementation of ideas have enabled the group to develop unique products in all branches of the Enterprise, which often have become the standard in the respective industry. In 2012 Beck+Heun celebrated its 50th anniversary. If the enterprise could do it all over again, what would it do differently? What has changed since then? On the previous path of development there were many right steps for Beck+Heun, however there were also wrong steps. But it was precisely these experiental values that were important in mastering challenges and growing to become what the enterprise is today. Naturally there are some things that one would have done differently if one would have known what one knows today. For example, the company building was extended piece-by-piece and as needed. From the present perspective, a large entire complex would have been more effective. Fortunately there are no fundamental decisions that would have been made differently. Will Beck+Heun also move forward into new product areas in the future? 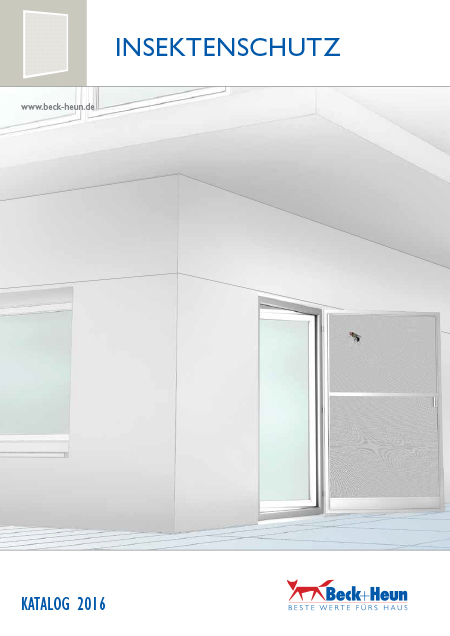 In the performance spectrum of Beck+Heun’s shutter business, basically anything is possible that can be implemented with the core competencies – production of Polystyrene ® and Neopor® – and that is useful.